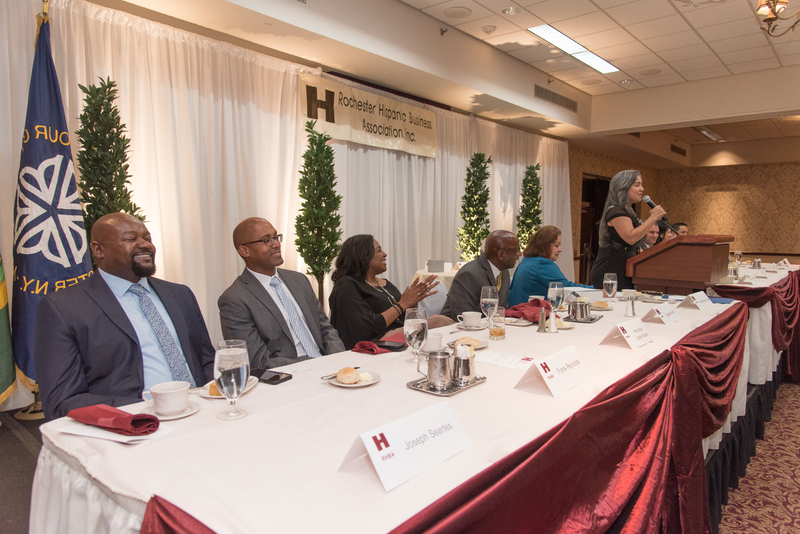 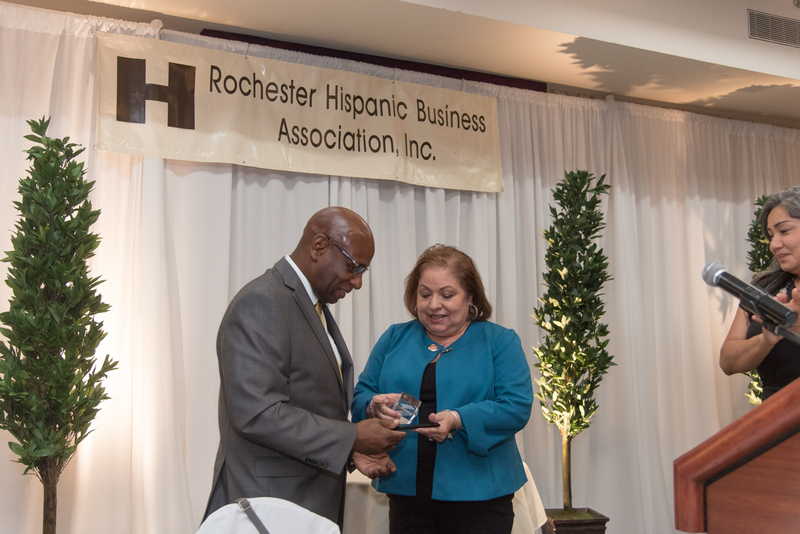 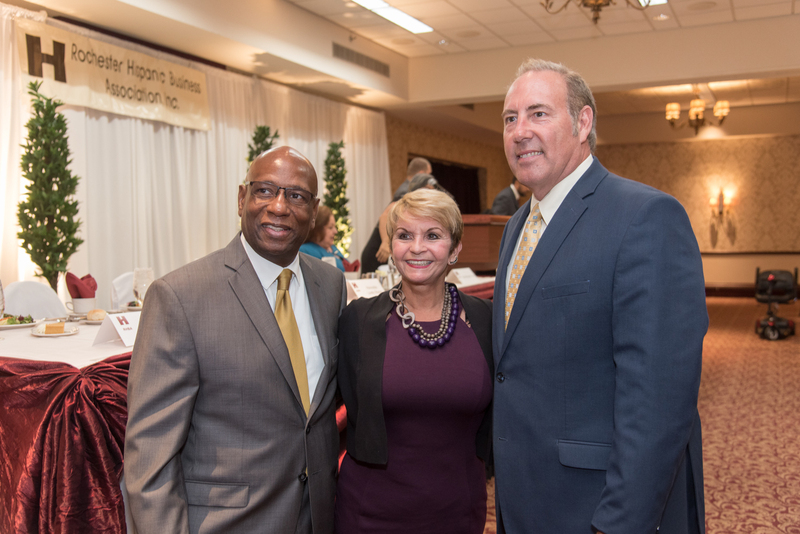 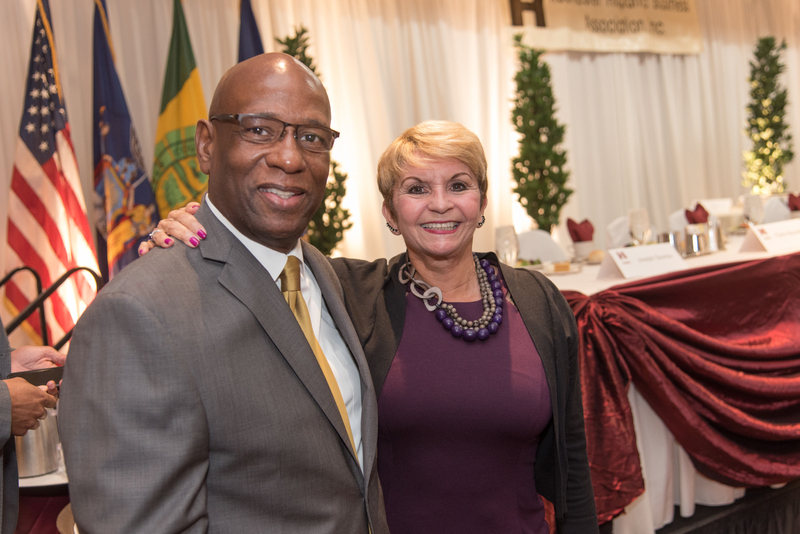 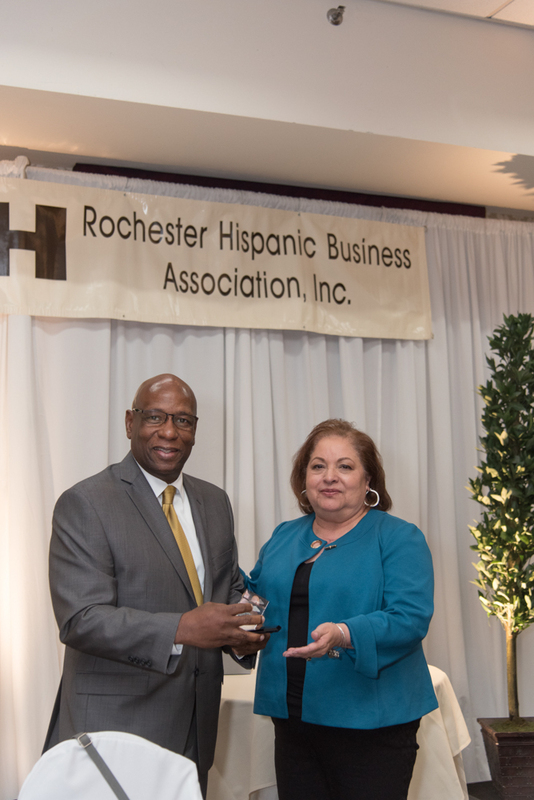 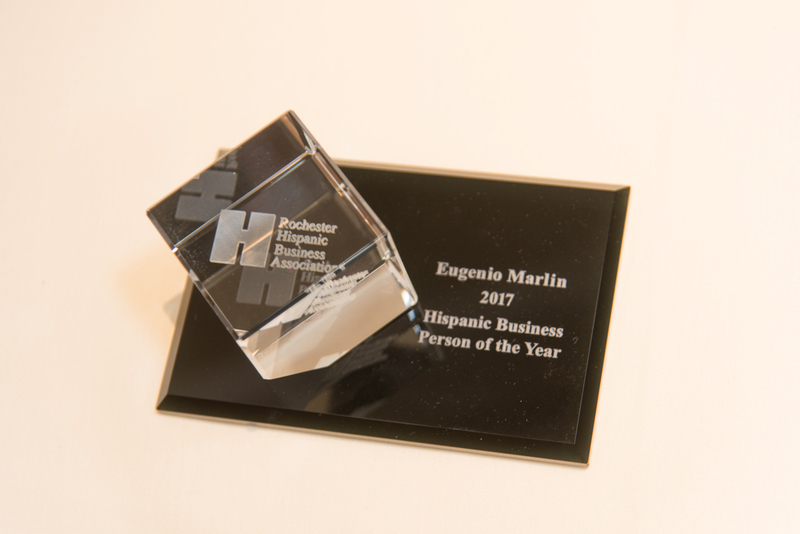 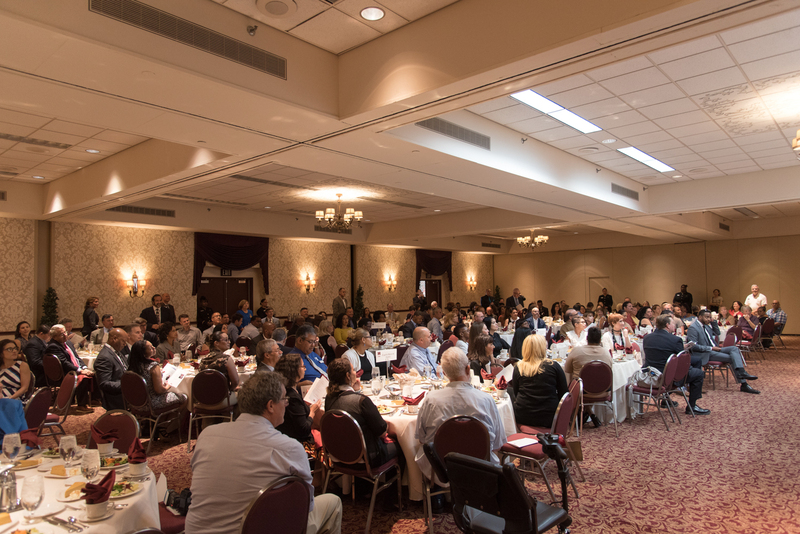 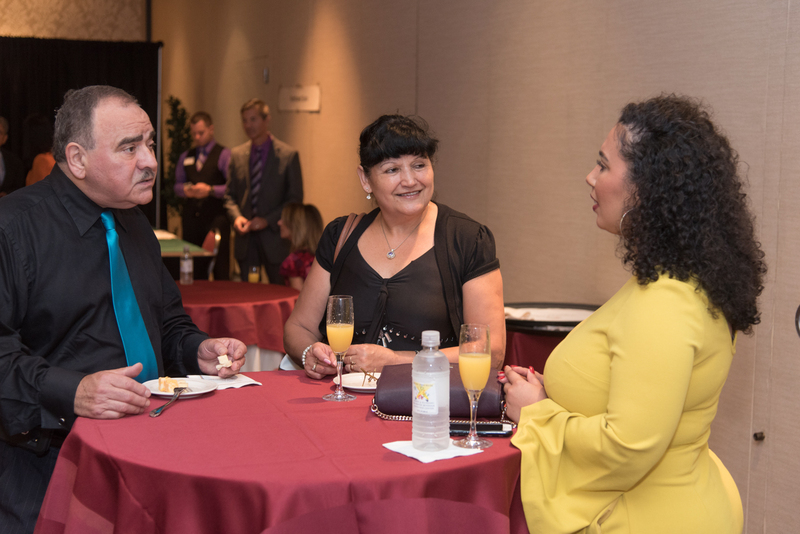 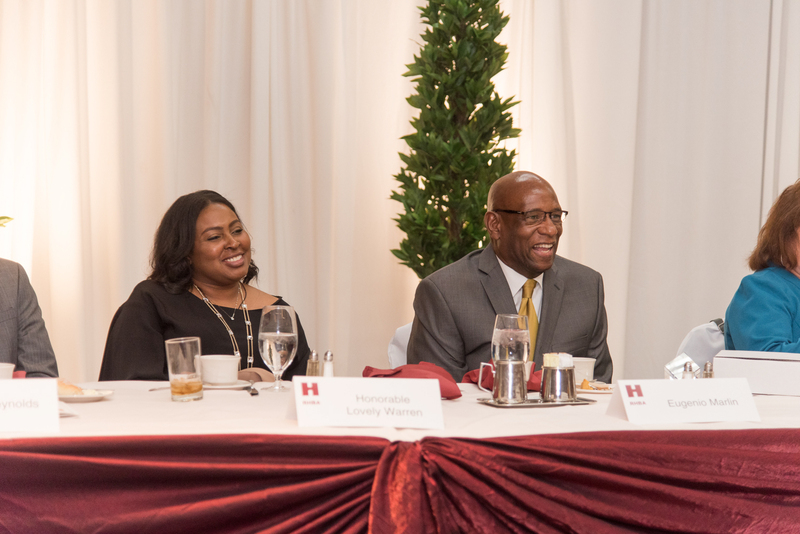 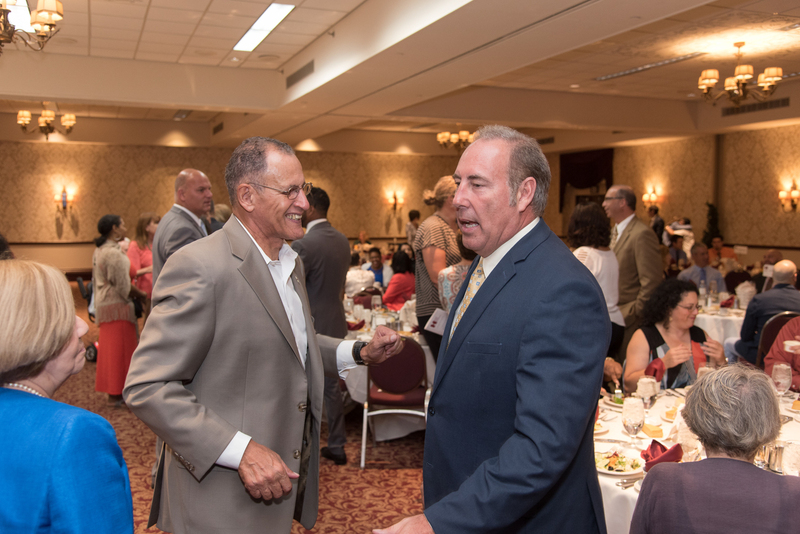 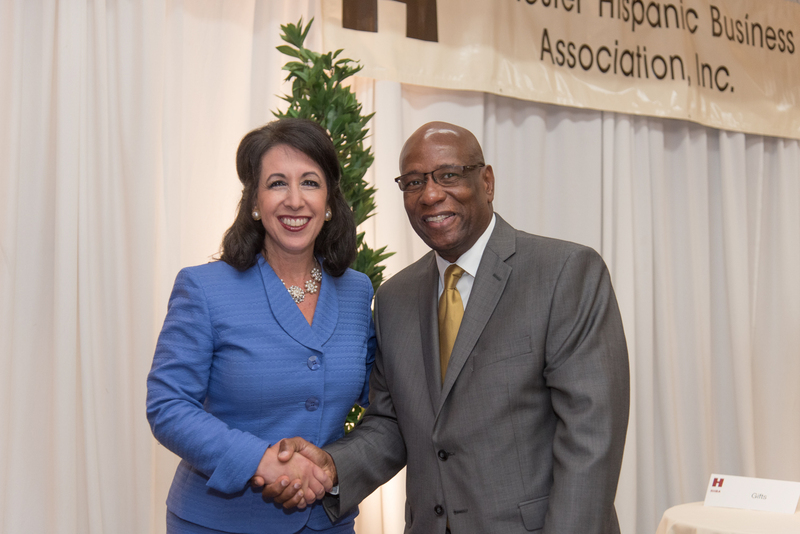 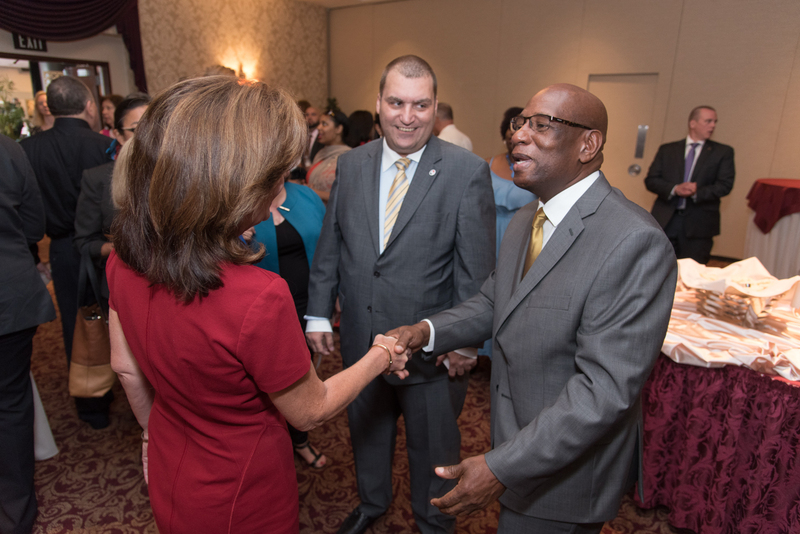 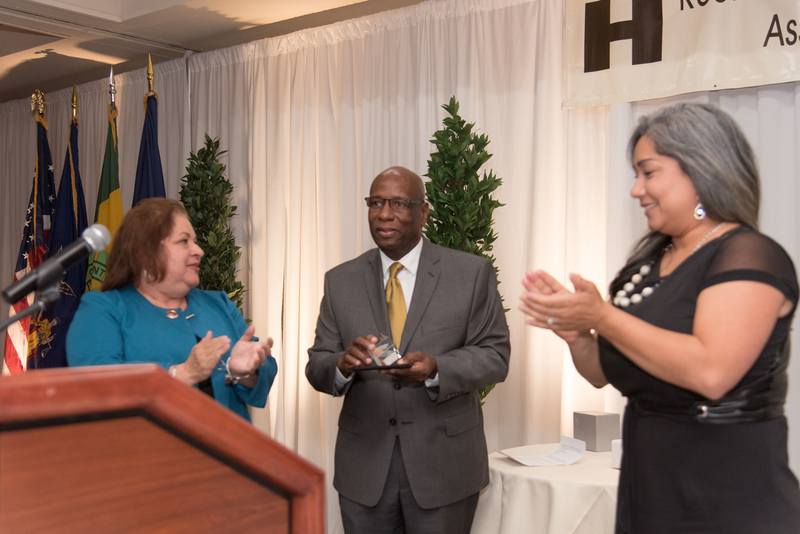 More than 180 people were on hand on Sept. 26 to congratulate Eugenio Marlin on being named the 2017 Hispanic Business Person of the Year sponsored by the RHBA. 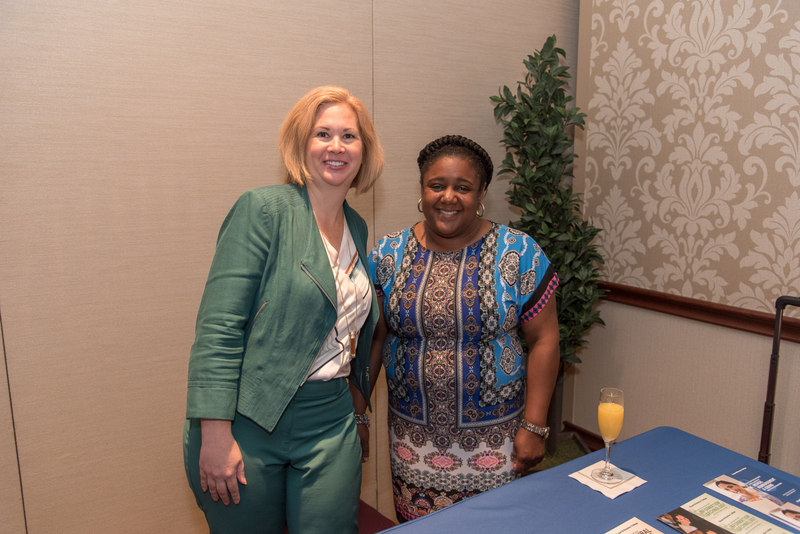 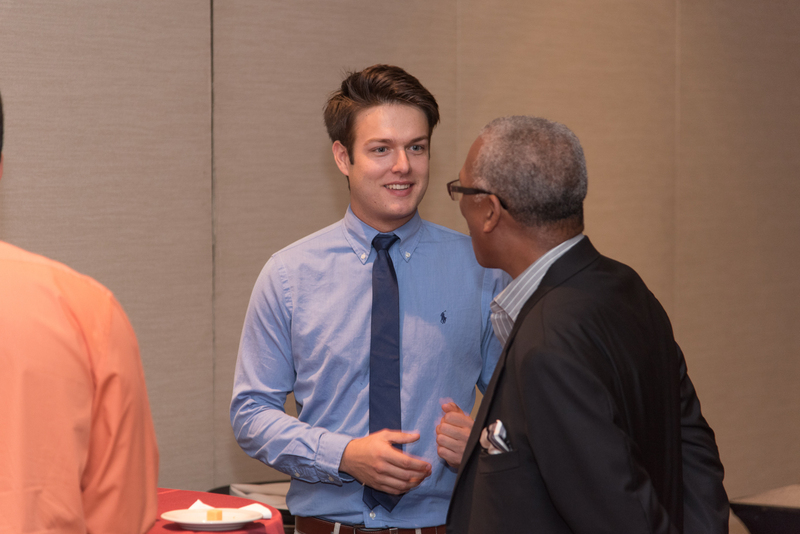 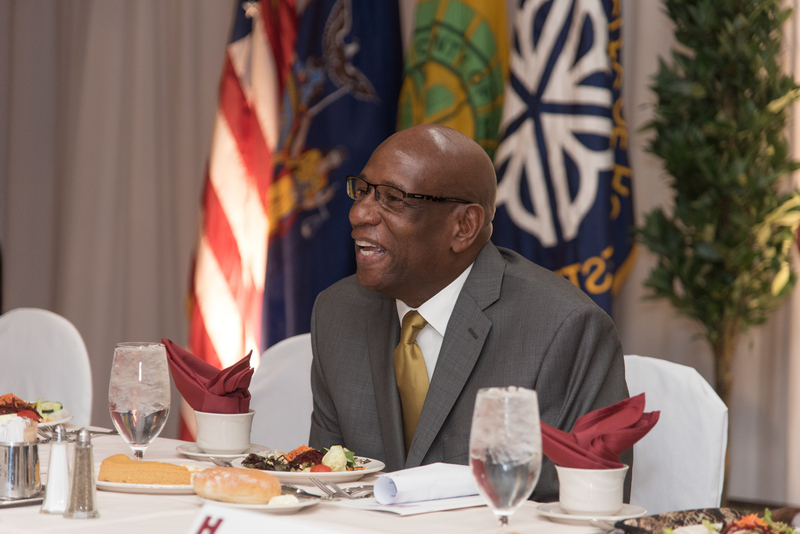 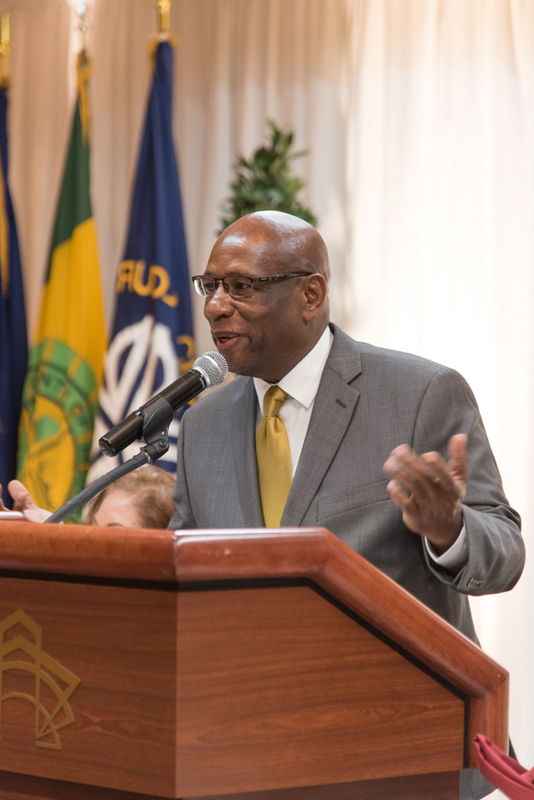 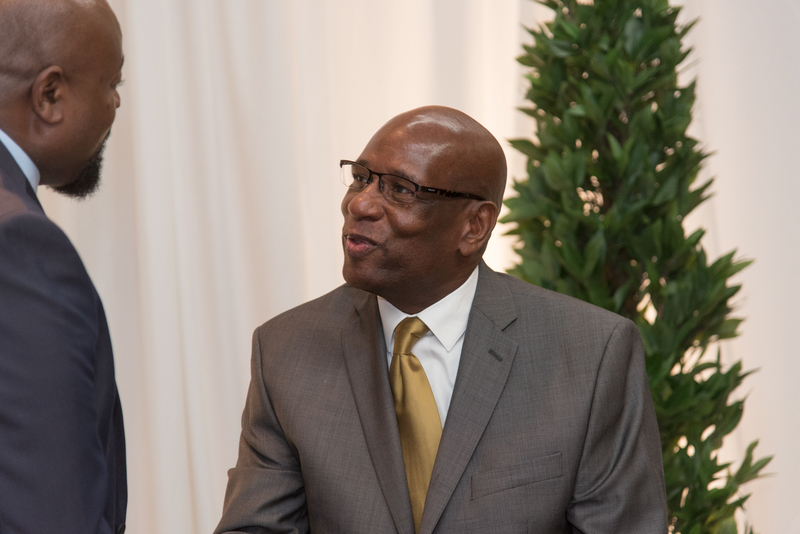 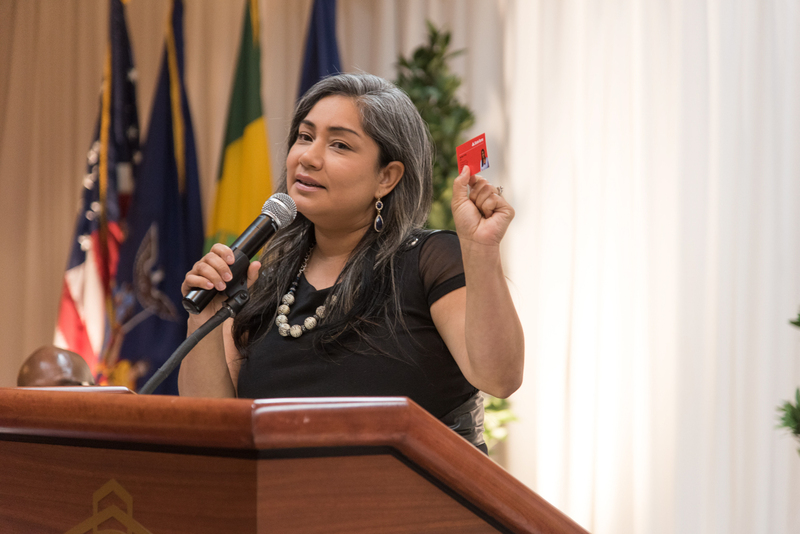 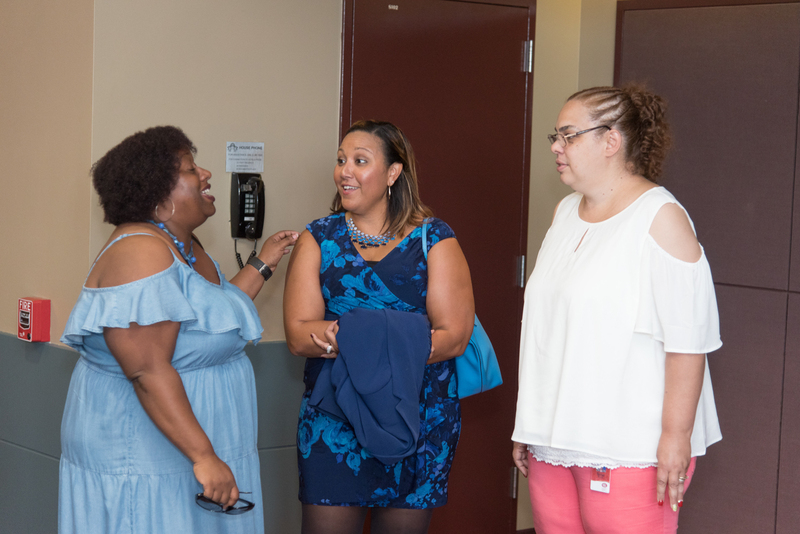 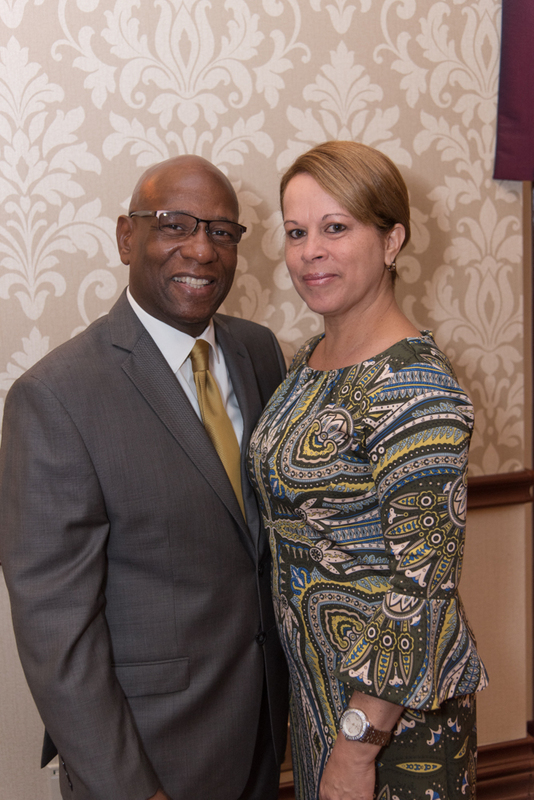 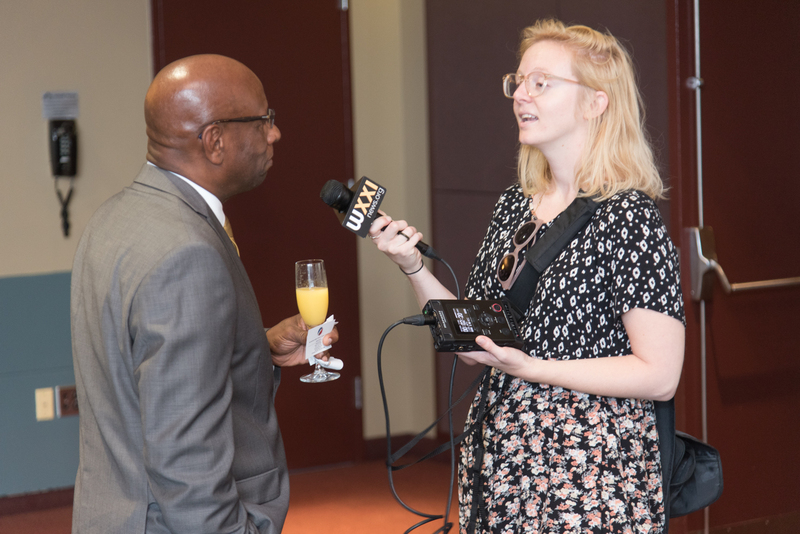 Marlin is vice president of Ibero-American Development Corp., an entity that specializes in developing affordable housing and other structures for community use. 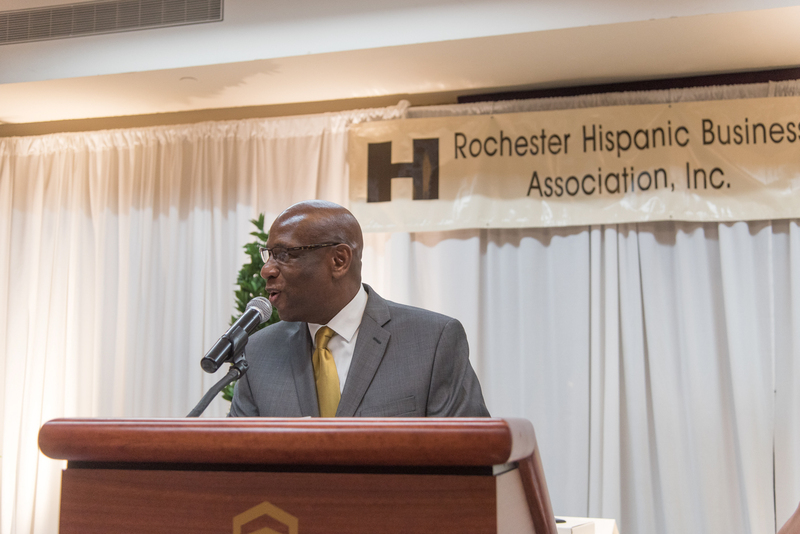 Under his guidance, IADC was instrumental in developing El Camino Estates in the northeast section of Rochester. 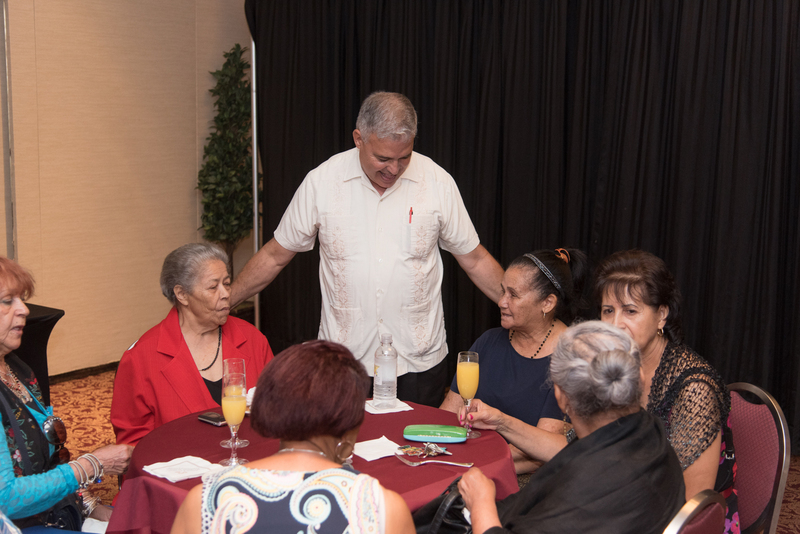 El Camino consists of three and four bedroom single-family housing units. 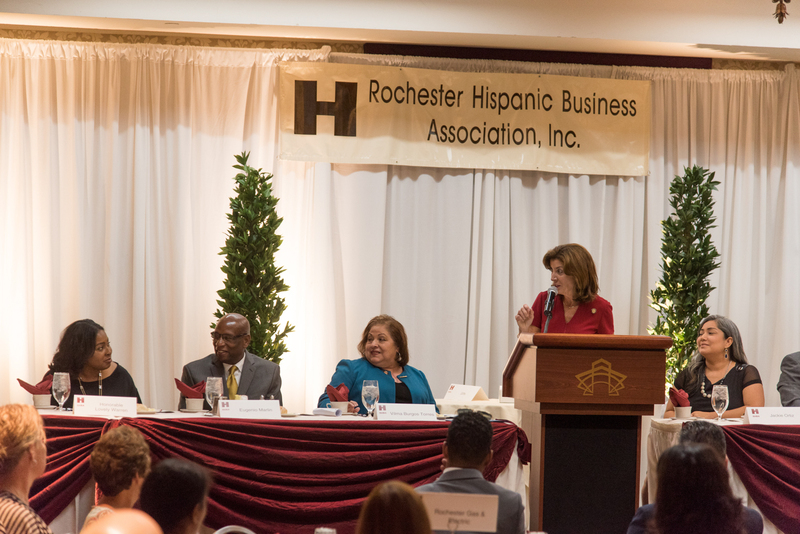 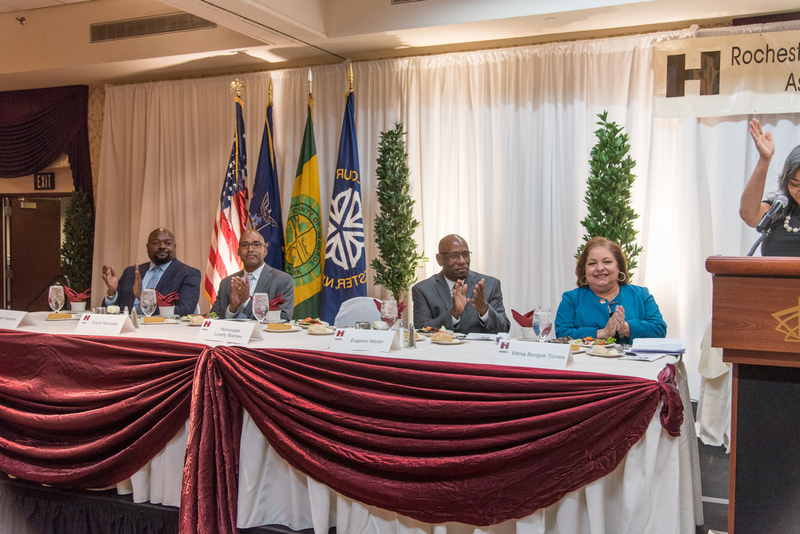 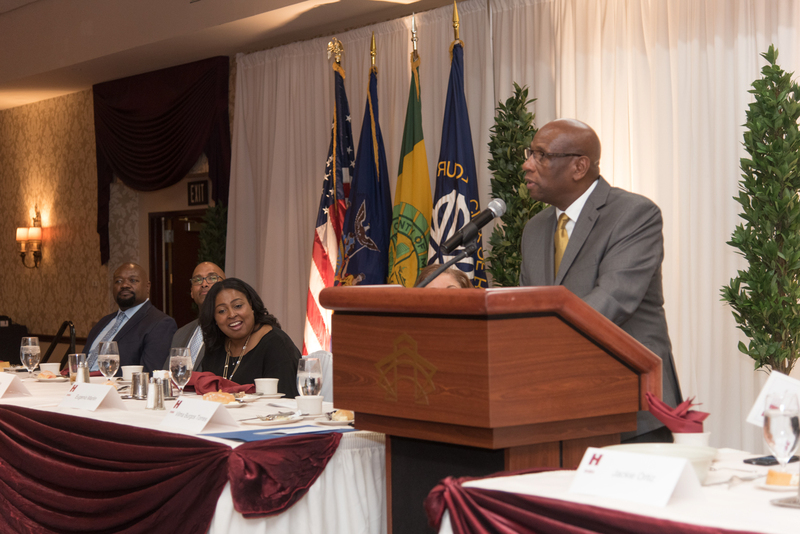 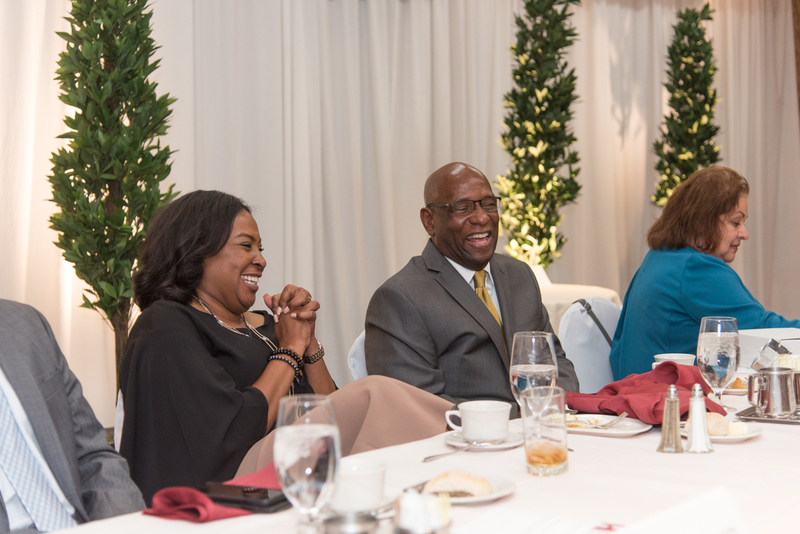 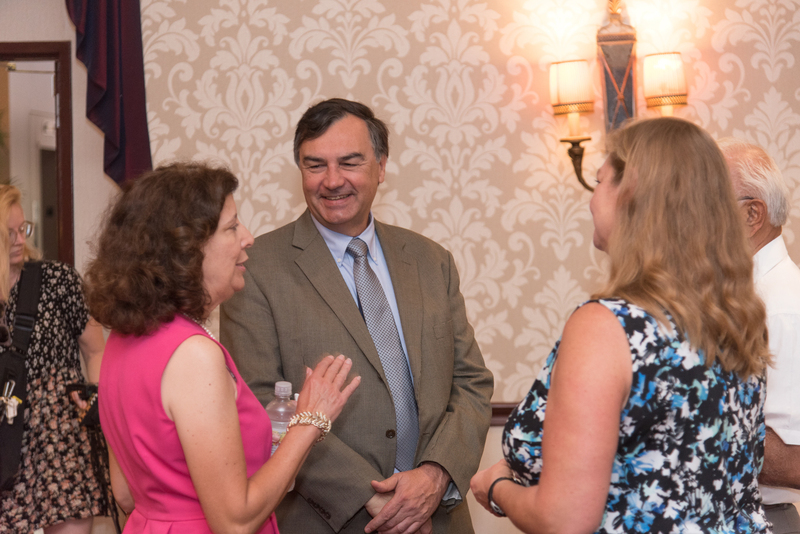 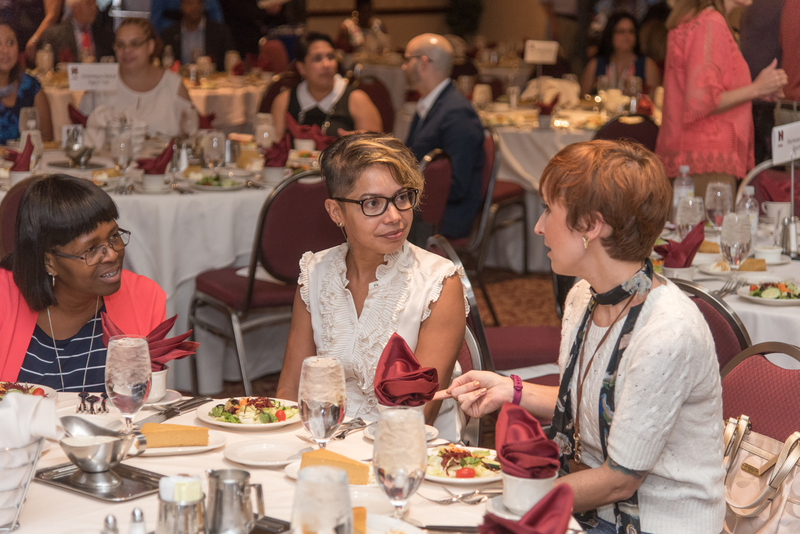 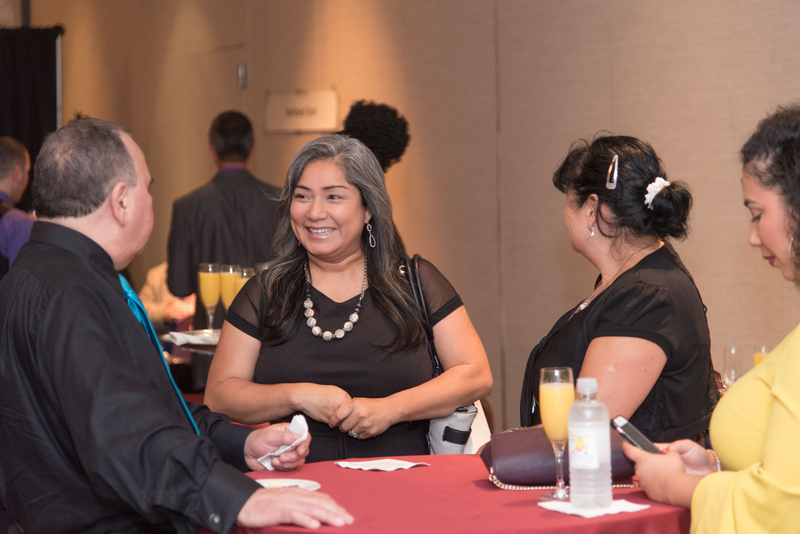 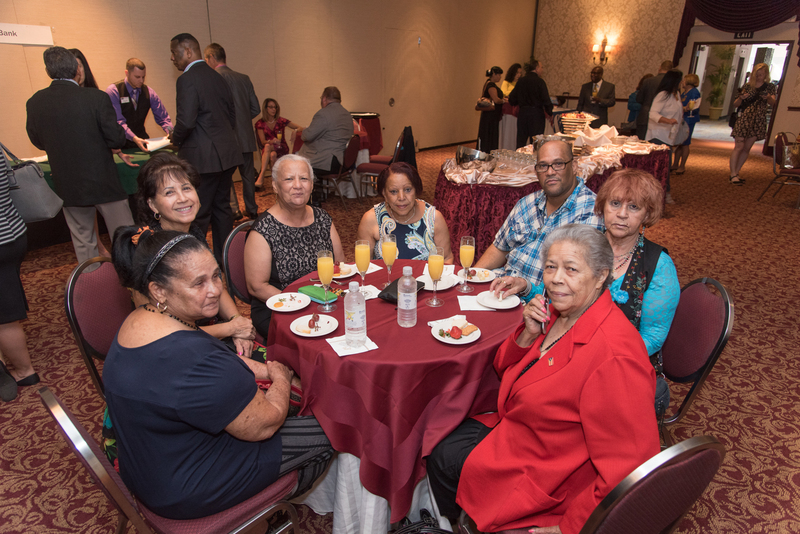 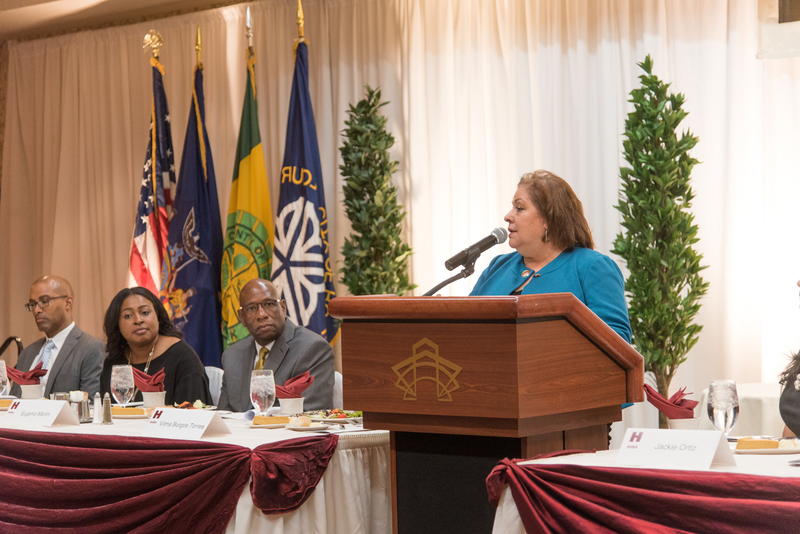 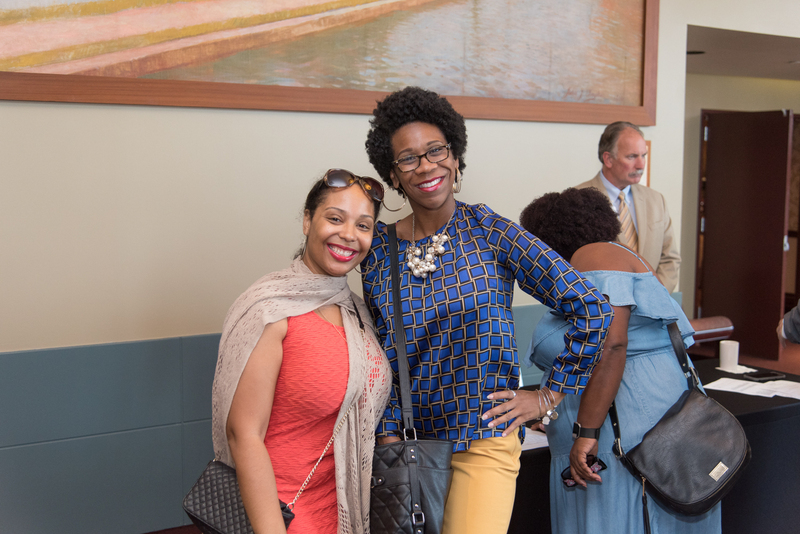 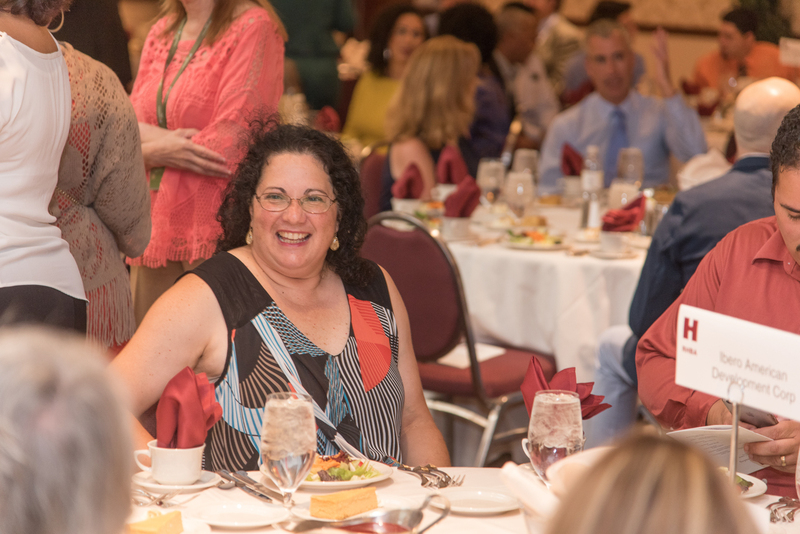 Attendees at the gala, which was held at the Joseph A. Floreano Rochester Riverside Convention Center, also heard from Lt. Gov. 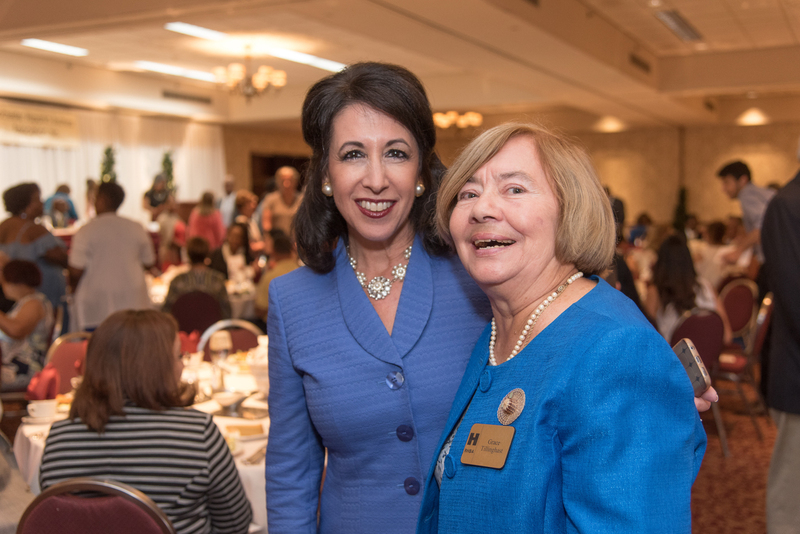 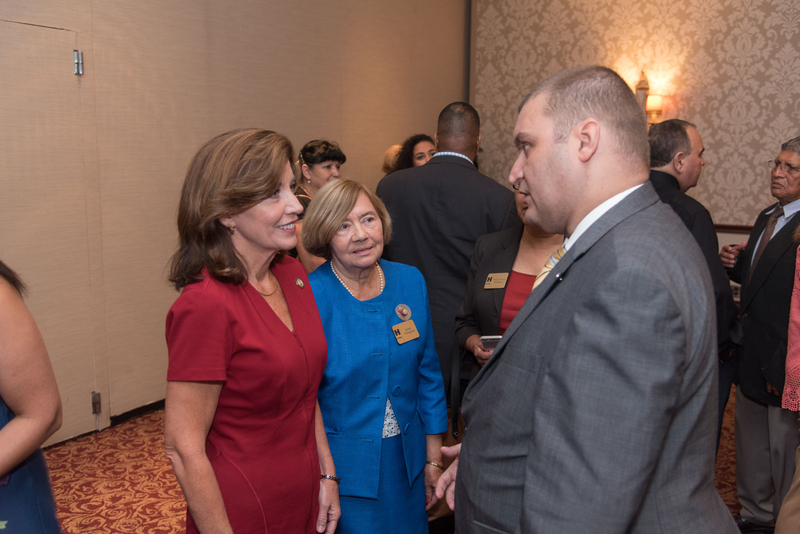 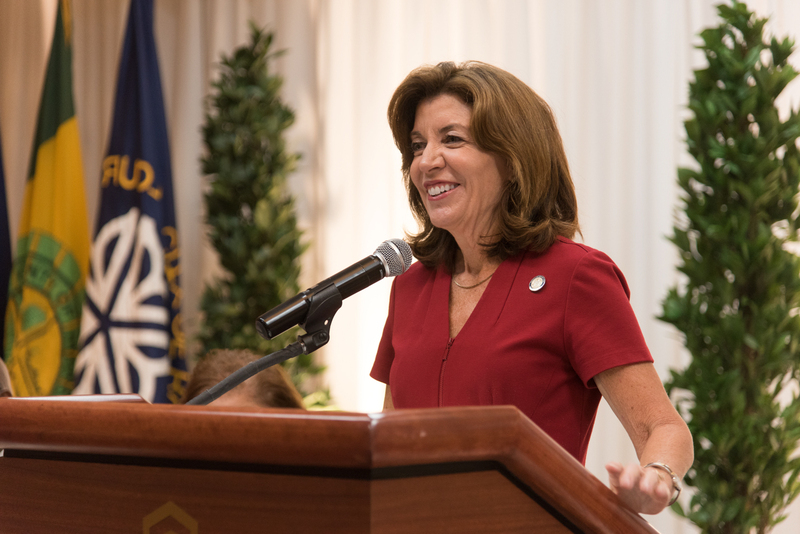 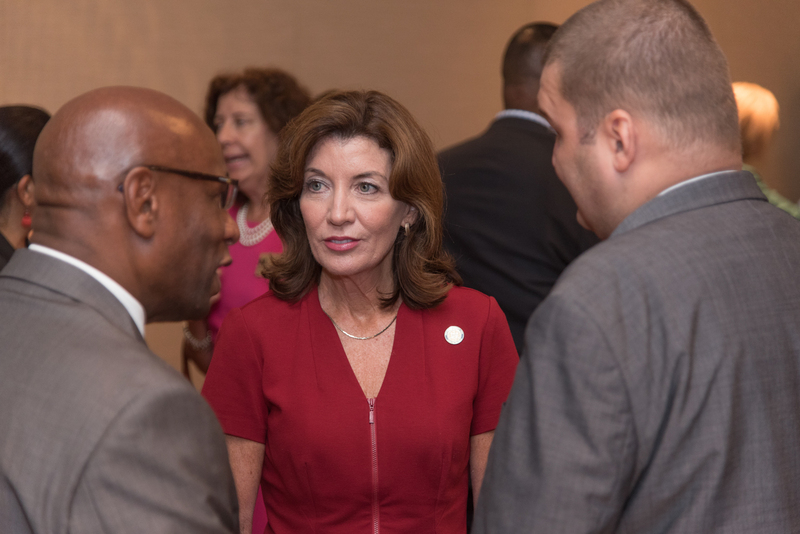 Kathy Hochul. 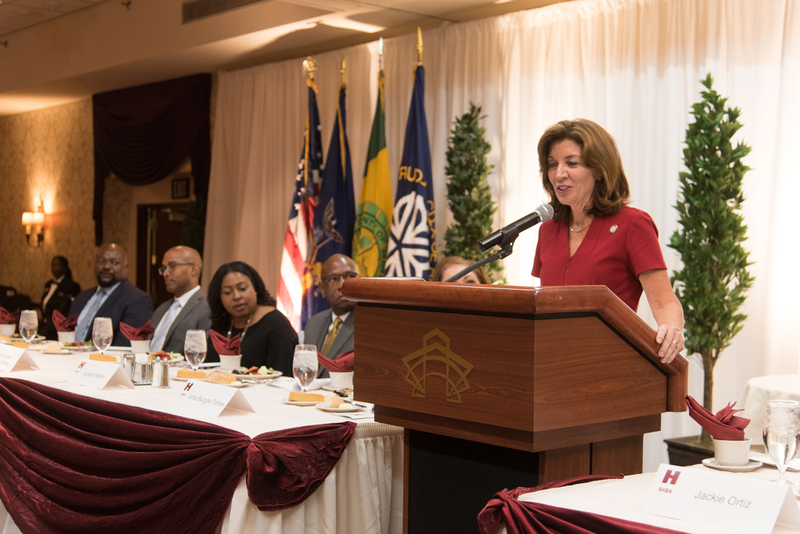 Hochul presented a proclamation signed by Gov. 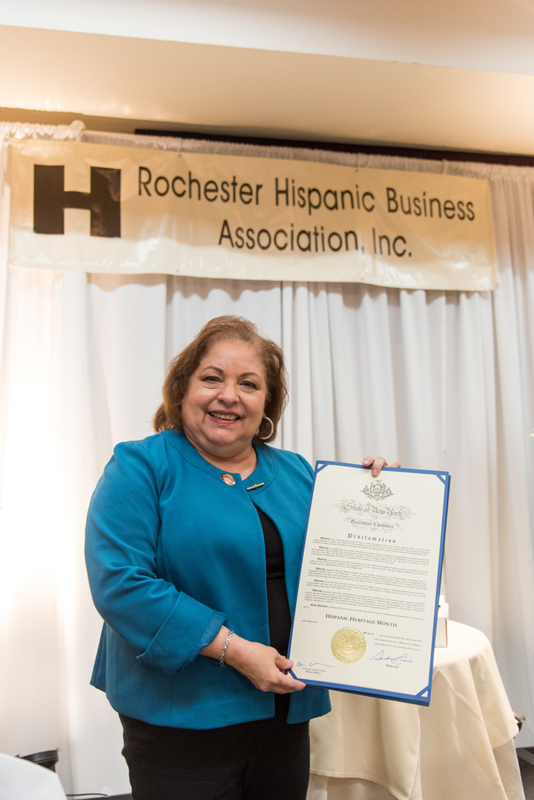 Andrew Cuomo to RHBA Chairwoman Vilma Torres. 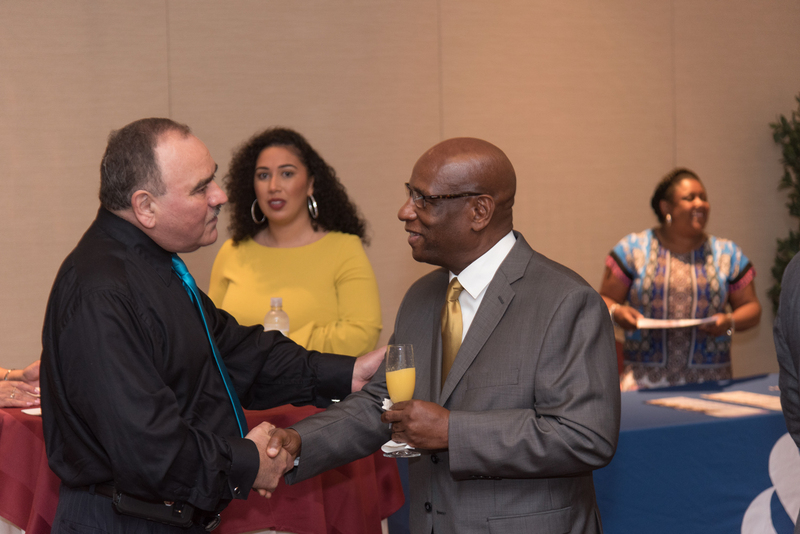 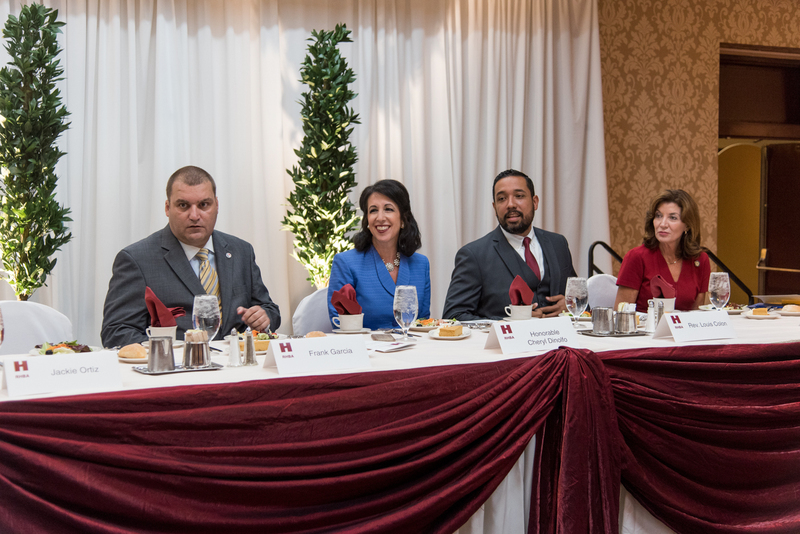 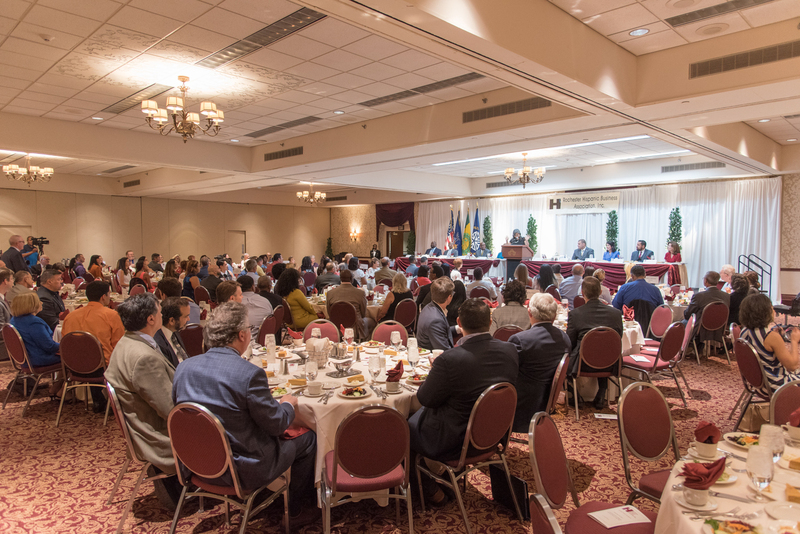 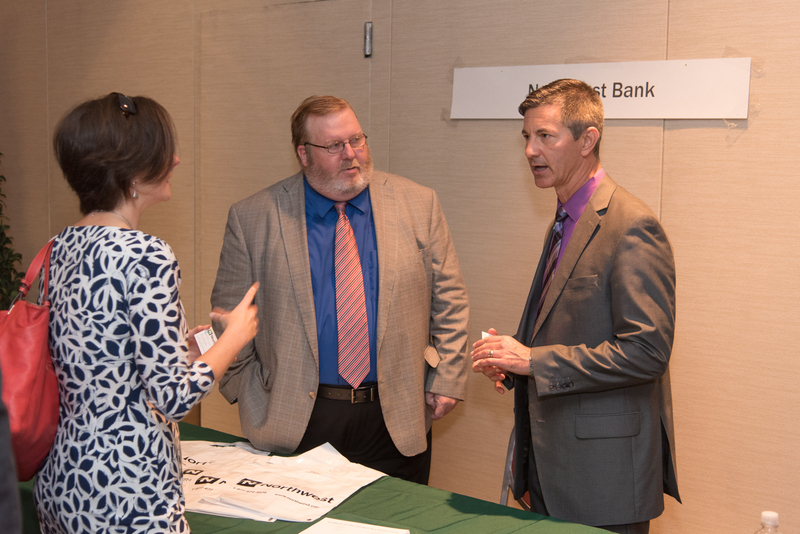 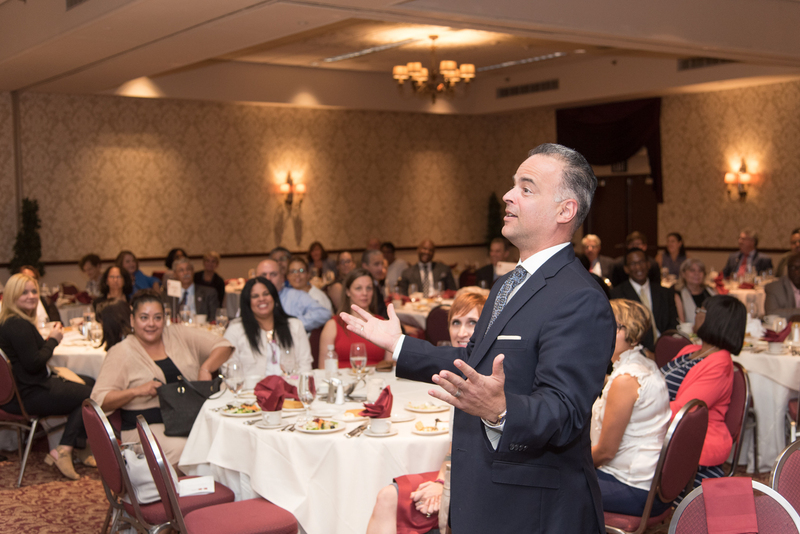 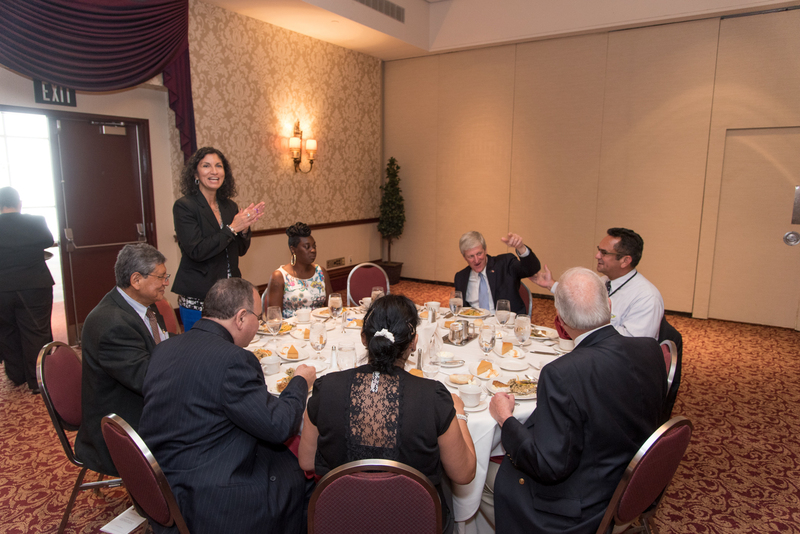 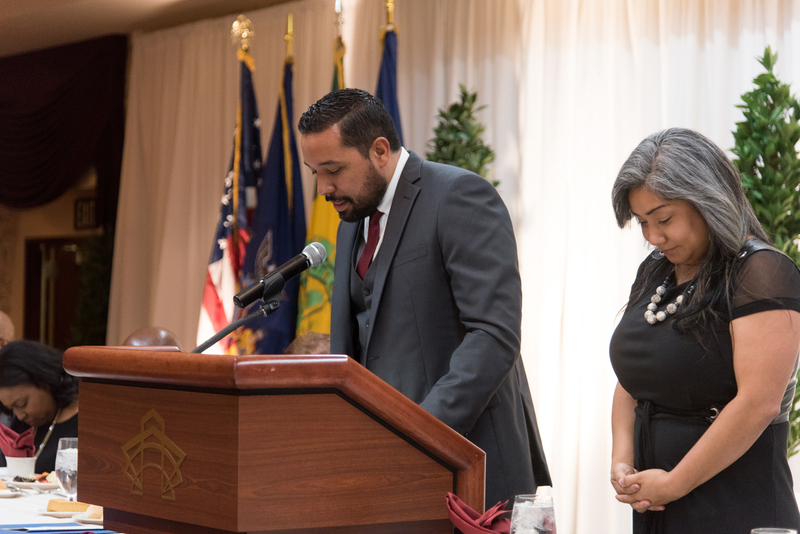 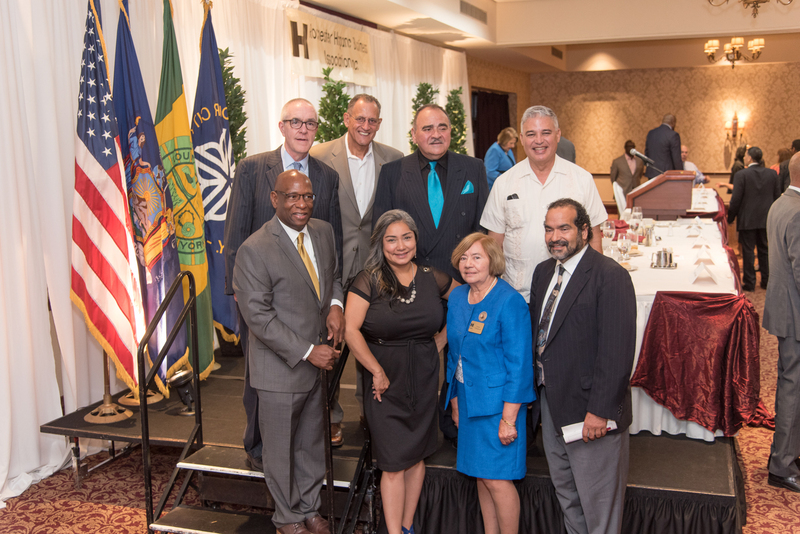 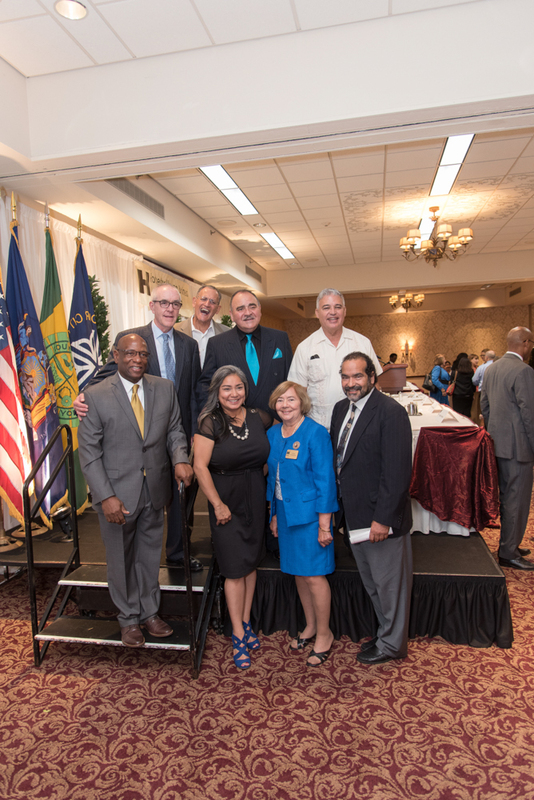 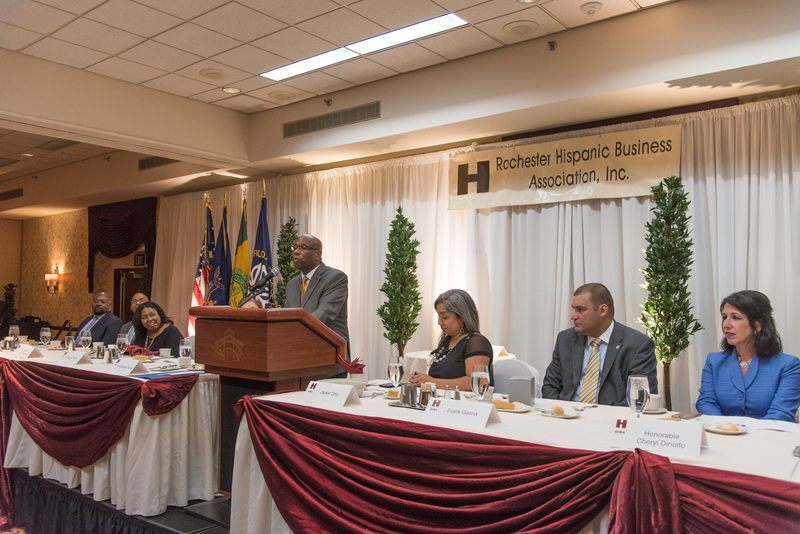 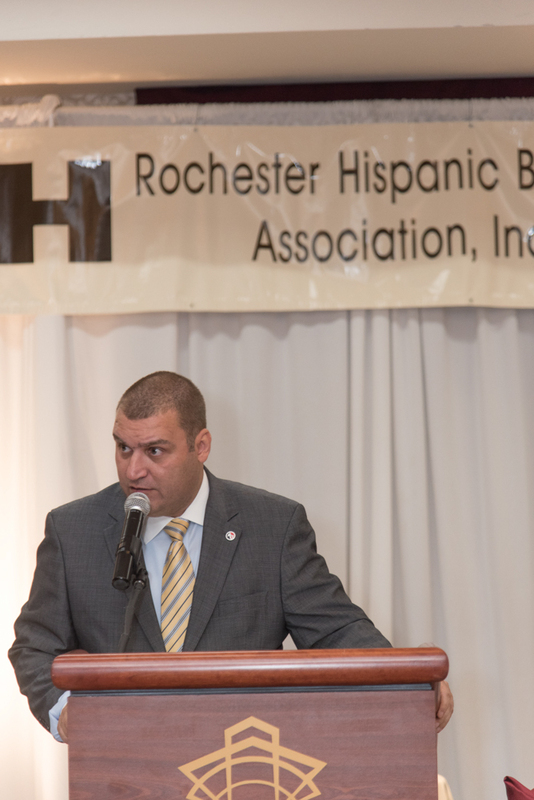 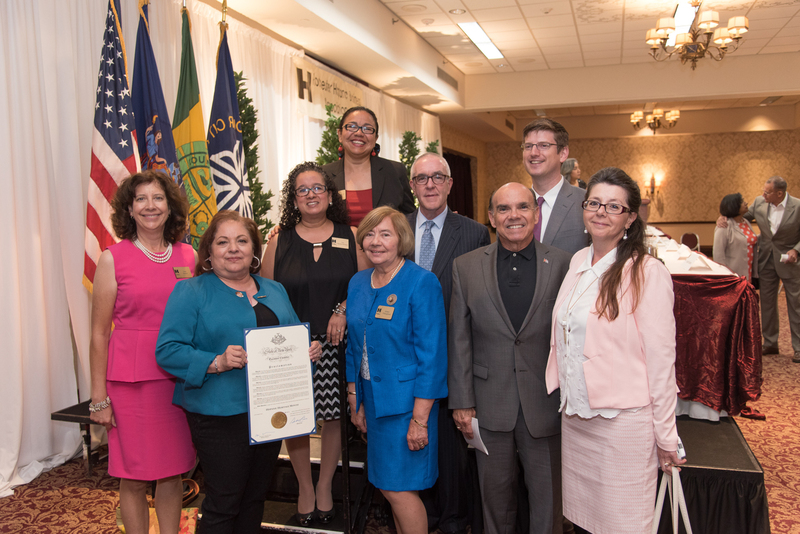 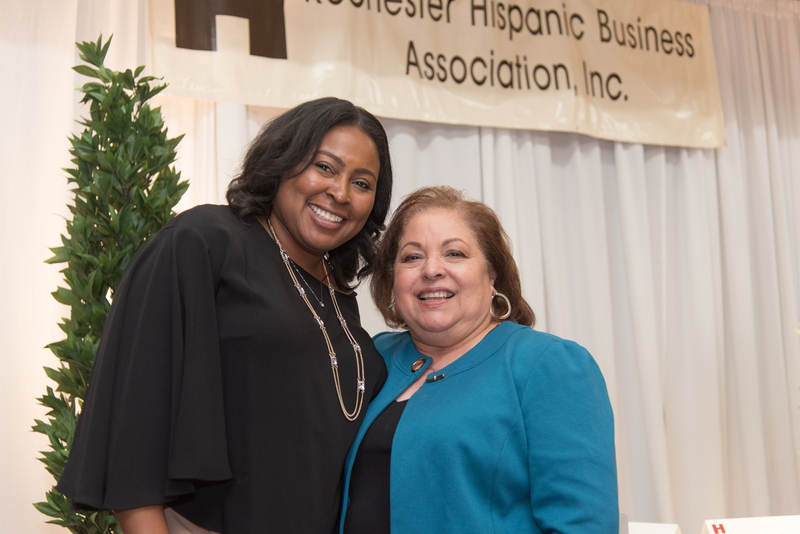 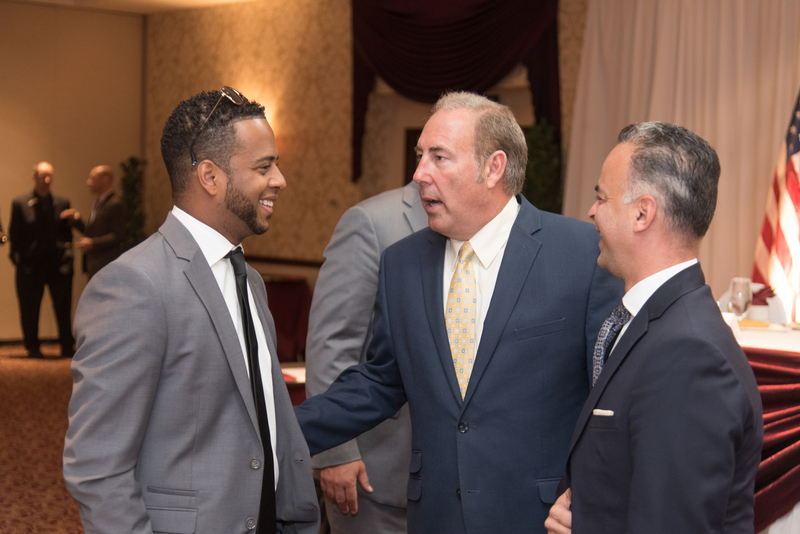 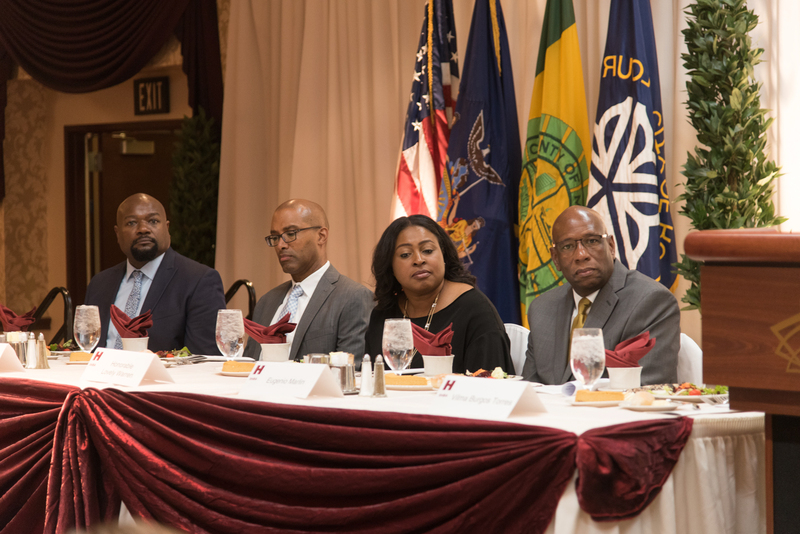 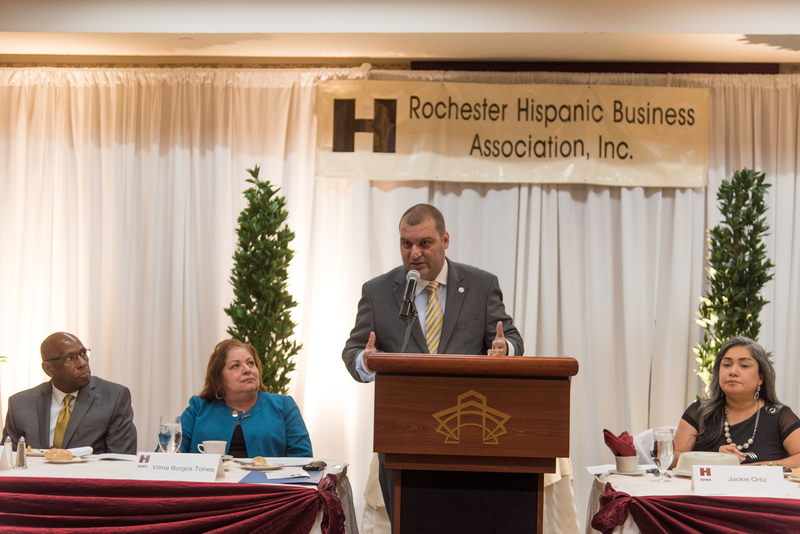 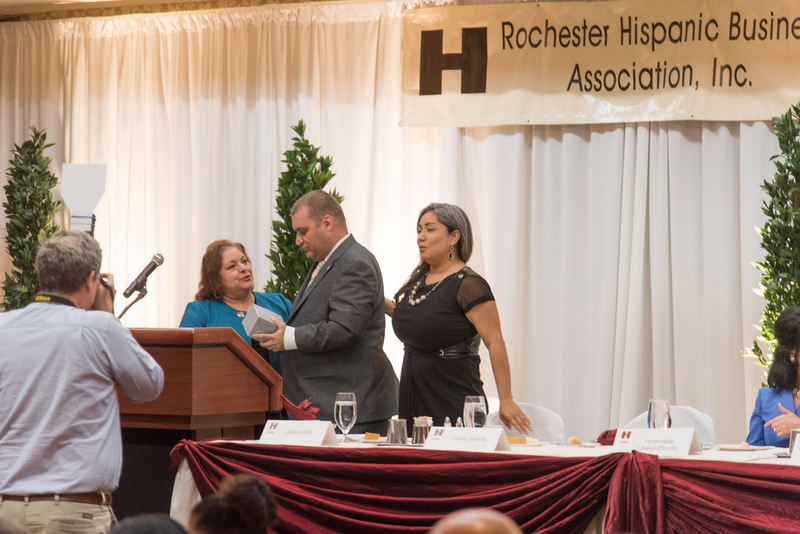 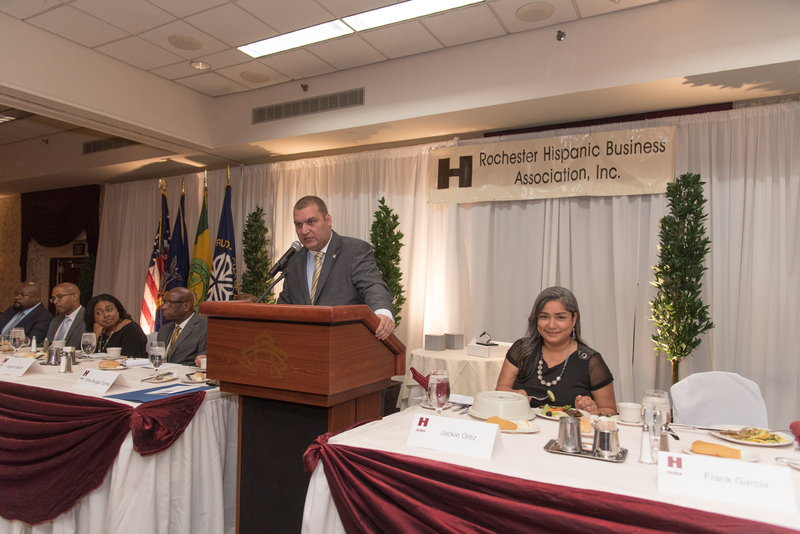 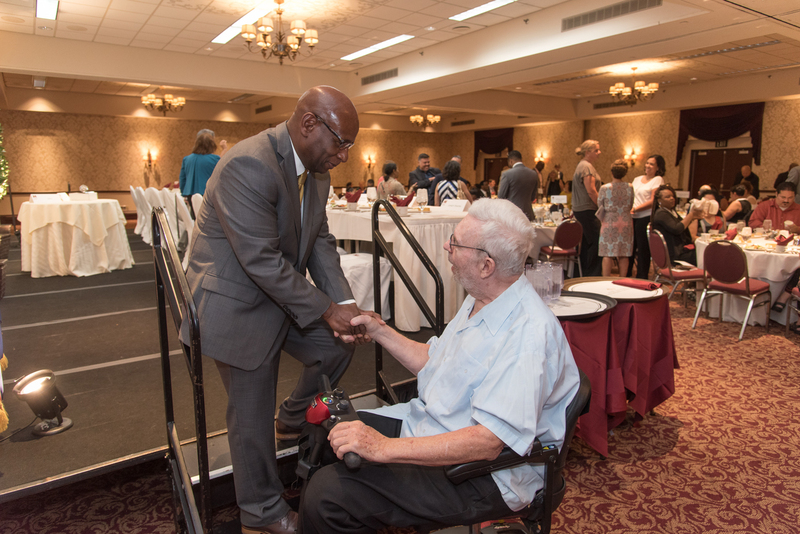 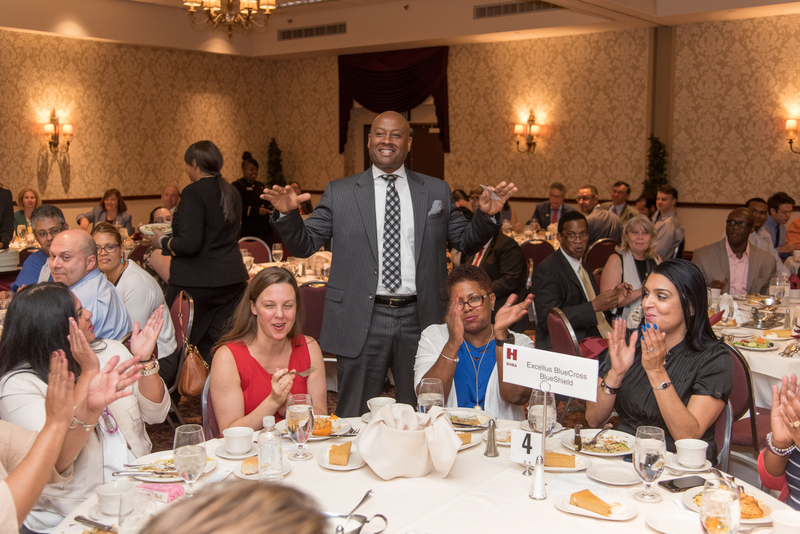 Frank Garcia, chair of the New York State Coalition of Hispanic Chambers of Commerce, urged attendees to get their businesses certified by New York State for being minority-owned. 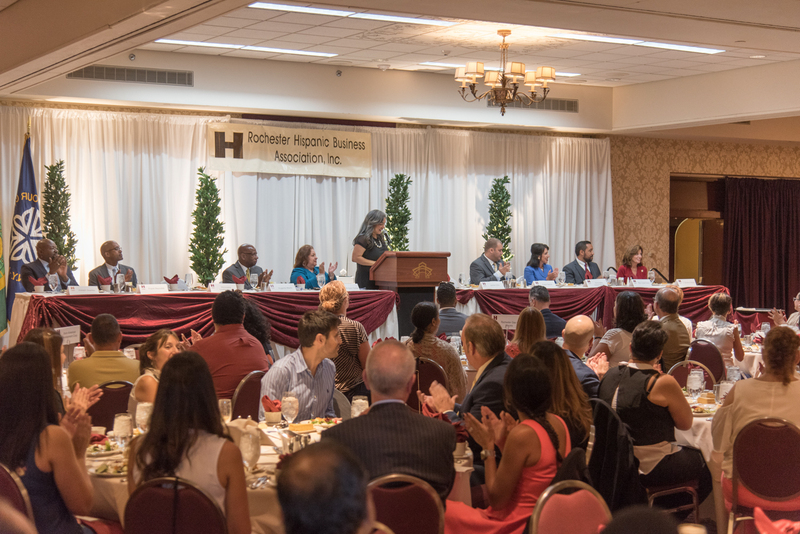 Such a designation helps businesses to qualify for government contracts that are set aside for those owned by minorities. 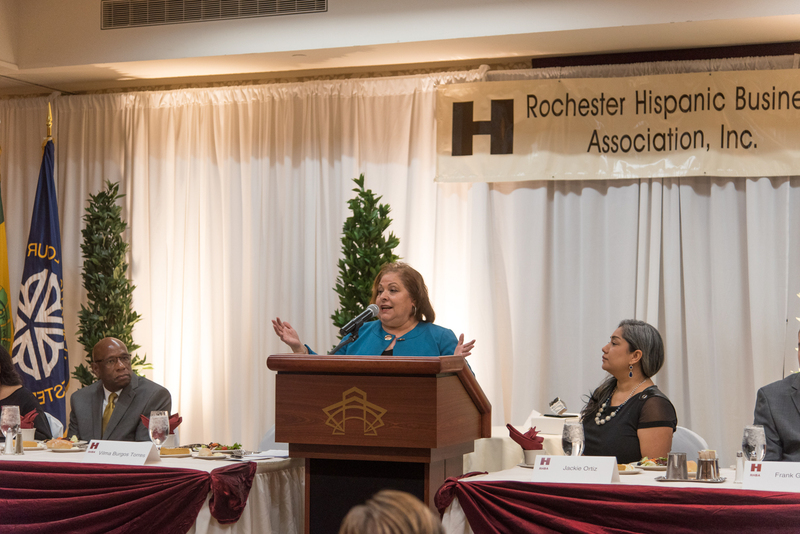 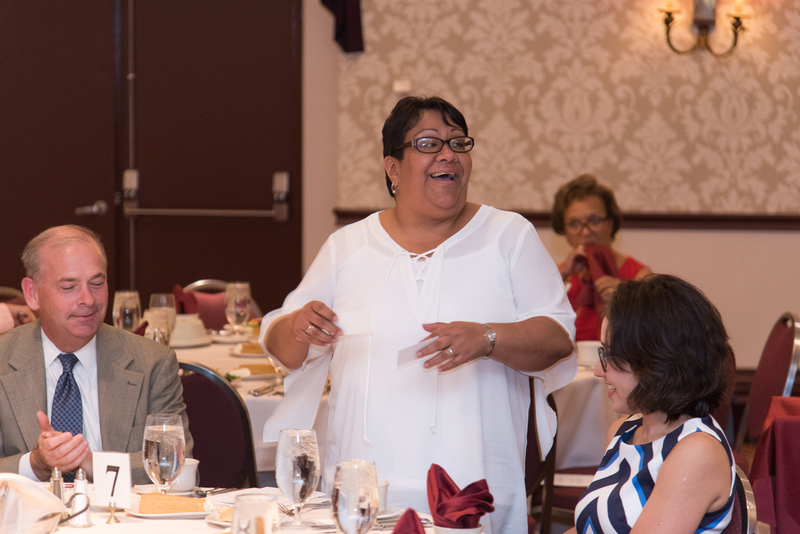 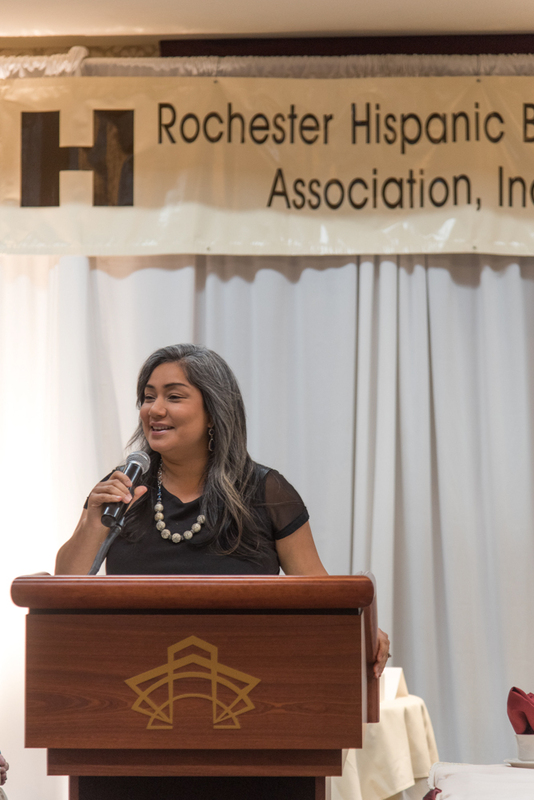 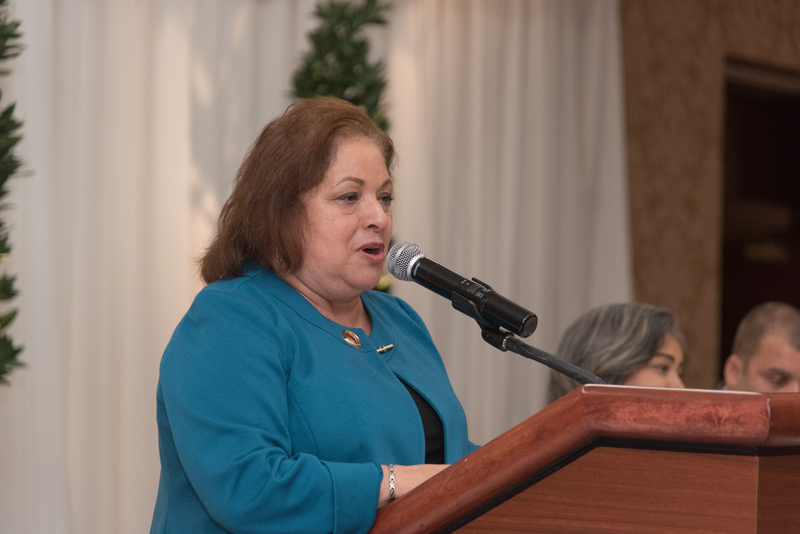 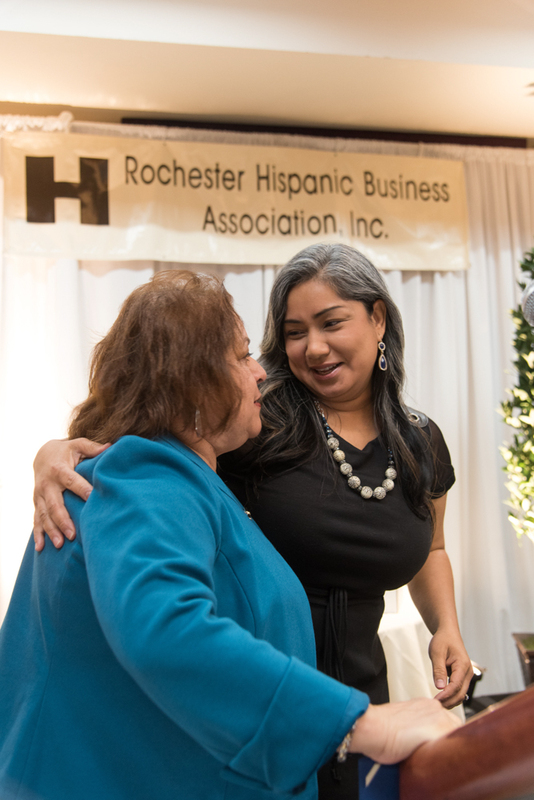 Rochester City Councilwoman Jackie Ortiz emceed the event. 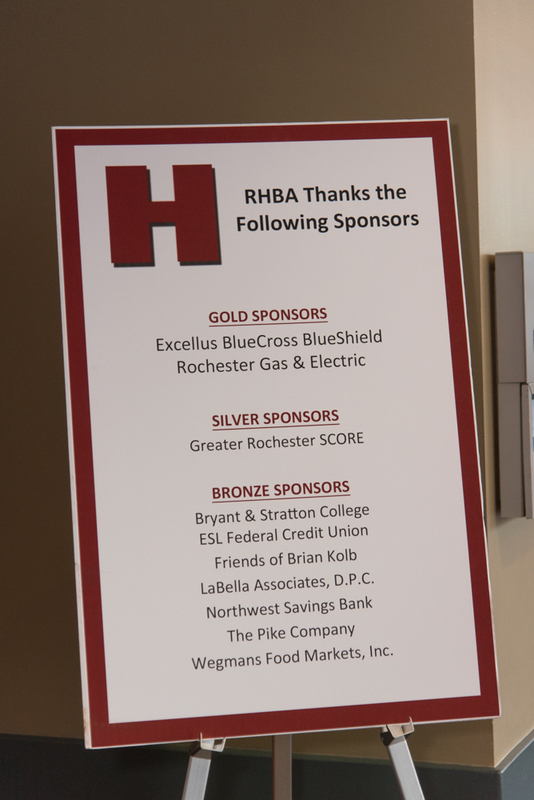 Sponsors were: Excellus BlueCross BlueShield and Rochester Gas & Electric (gold); Greater Rochester SCORE (silver); Bryant & Stratton College, ESL Federal Credit Union, Friends of Brian Kolb, LaBella Associates D.P.C., Northwest Savings Bank, The Pike Company and Wegmans Food Markets (all bronze).